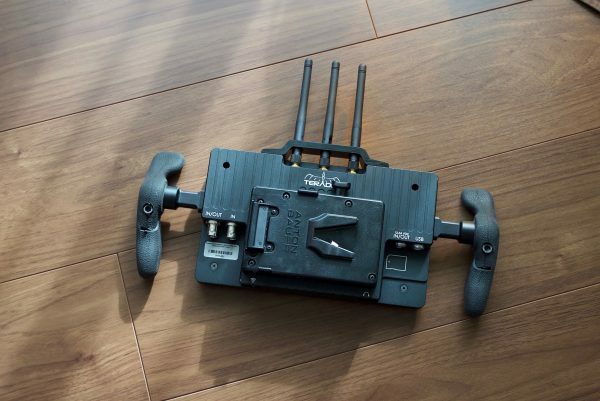 Take a SmallHD 703 ultra bright and combine it with a Teradek Sidekick II Bolt wireless receiver and what do you get? The 703 Bolt. 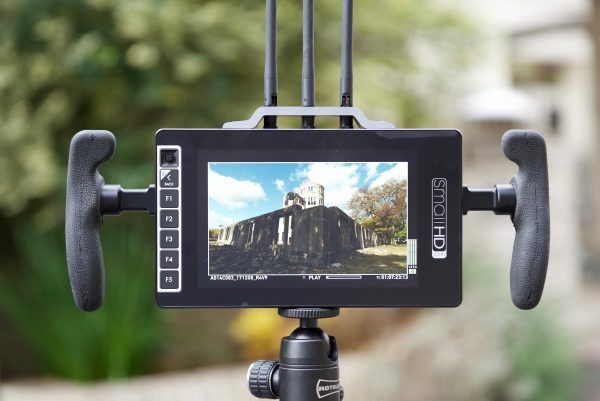 This new zero-delay 7″ wireless monitor leverages the best technology from both Teradek and smallHD and combines it into a single product. The whole philosophy behind the 703 Bolt is simplicity. By integrating everything you need into one compact solution you take away some of the pains of traditional wireless monitoring. You only need to power one device, don’t need to mount one product to another and you don’t need to run any cables. By keeping things simple, it allows filmmakers to spend more time actually creating, instead of worrying about equipment. Even though the 703 Bolt is now shipping, the unit I was reviewing was a pre-production unit. 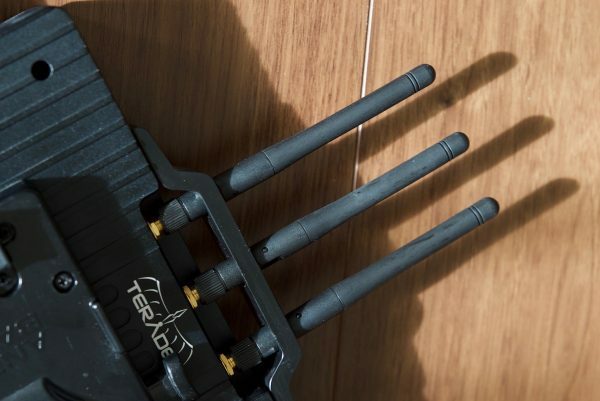 The 703 Bolt is being targeted at directors, producers, or even a cameraman who wants to provide an all-in-one wireless monitoring solution for their clients or other members of a team they may be working with. But in saying that, it could be used by just about anyone. 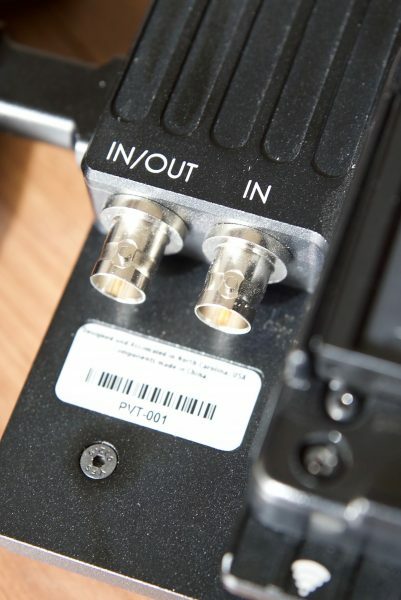 According to Teradek, they don’t imagine too many people buying a separate transmitter with only the 703 Bolt as a receiver option. The Sidekick II was always a great choice as a 2nd, 3rd, or 4th RX for your Bolt system and I think you could say the same about the 703 Bolt. On larger productions, the 703 Bolt is more likely to be used as an additional tool in conjunction with other dedicated Bolt transmitters and receivers. Shooters working on high-end factual productions will often get requests to provide a wireless monitoring solution as part of their kit. The 703 Bolt would be a good solution for this very reason. 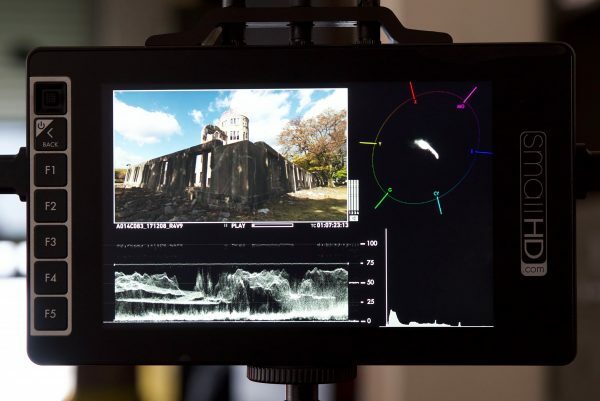 If you are going to buy a decent on-camera monitor, then it makes a lot of sense to buy a system like this that provides built-in wireless as well. Appearance wise the 703 Bolt doesn’t look flashy or draw attention to itself. The matte black finish and understated design again point to the philosophy of keeping things clean and simple. It’s more industrial than a showroom and considering what it’s designed to do, that is a good thing. High-end wireless video and monitoring solutions need to be robust and stand up to the rigors of field use, and the 703 Bolt is clearly made with that in mind. The external housing of the 703 Bolt is made out of milled aluminum, and there are plenty of mounting points on the top and the bottom. 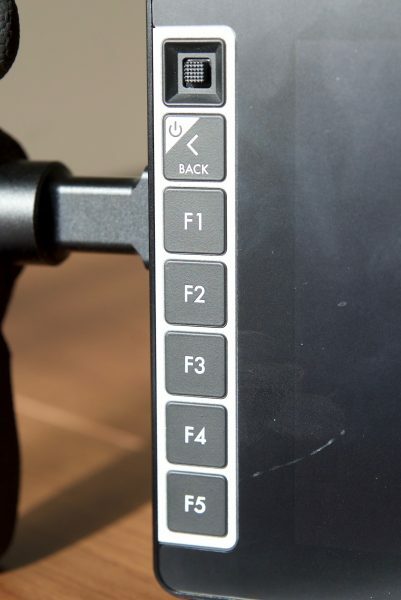 On the front left of the screen are five function buttons, a combination ON/OFF and back button, as well as a recessed joystick. 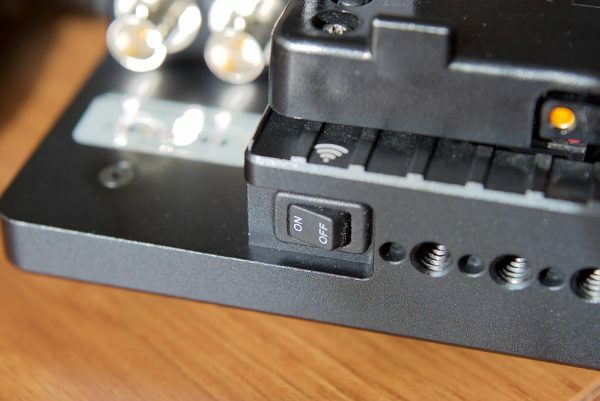 On the back of the 703 Bolt there is a SDI IN/OUT, a SDI IN, a switch to turn the wireless receiver ON/OFF, a 2-pin locking barrel connector (12-34V DC) IN/OUT, a USB, an SD card slot and a headphone jack. Unlike the SmallHD 703 Ultra Bright, there are no HDMI inputs or outputs which is a bit of a shame considering the price. Having dual SDI ports allows for A/B viewing of two different SDI signals, or the secondary port can be assigned as an output for sending an SDI signal downstream to another monitor, switcher, or wireless accessory. On the 703 Bolt I was testing, I couldn’t get anything to output over the SDI. I tried different monitors, different cables, nothing seemed to work. While it feels really solid, the weight of the 703 Bolt Directors Bundle with the side handles, antennas and a v-lock battery plate is a very reasonable 1.2kg (2.64lb). Size wise it is only 32mm, or 1/8 of an inch, thicker than the smallHD 703 UltraBright. On the top of the 703 Bolt are three wireless antennas that are nicely protected by a plate. 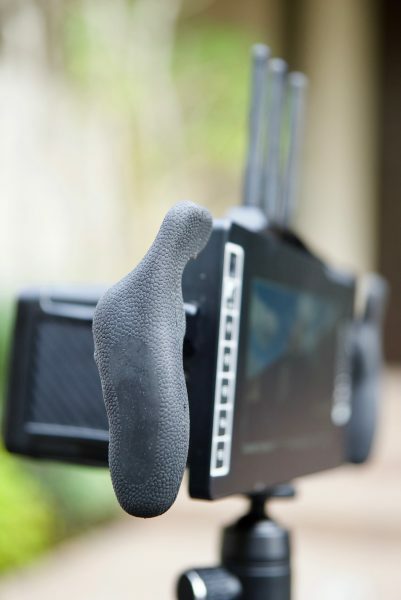 If you are going to build a product that is primarily designed to be used by directors, producers and people on set, then it not only has to be functional but also comfortable to use. If a wireless monitor is too heavy or has a multitude of cables and arms hanging from it, people will be reluctant to want to use it. The beauty of the 703 Bolt is that it’s lightweight and doesn’t have cables hanging off it everywhere. Being totally self-contained, there is nothing it can get snagged on. 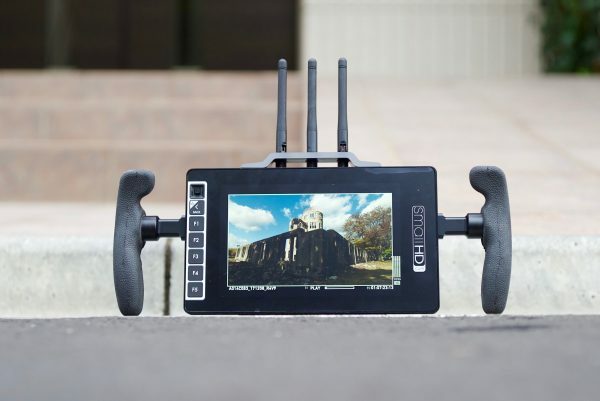 The 703 Bolt Directors Bundle which includes the 7″ wireless monitor and directors handles and a Gold or V-Mount battery plate is definitely the way to go. The battery plate doesn’t make the unit much bigger and a lightweight V-mount or Gold-mount battery doesn’t add much more weight. The director’s handles are quite simple but are really nice and ergonomic. 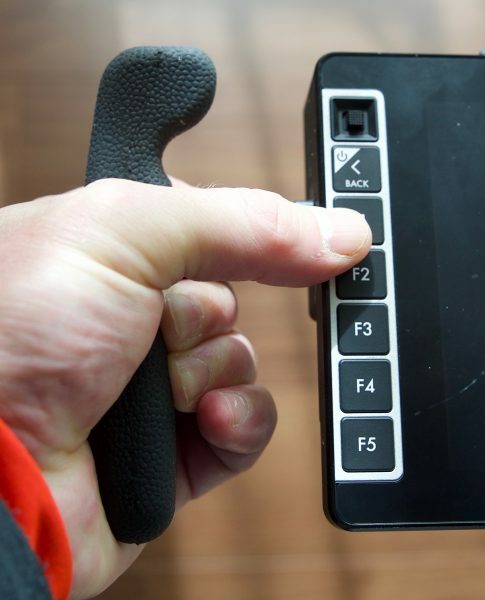 They are comfortable to hold for long periods of time and you can access all the monitor function keys and controls without having to take your hands off the handle. The only downside to the handles is that there is no way of quickly changing their angle or adjusting the position without using an Allen key. One of the biggest selling points of the 703 Bolt is the 7″ (17.8cm) 3000 nit daylight viewable 1920x1080p IPS LCD screen, which uses an optically bonded anti-reflective screen. Optically-bonded Gorilla Glass has been used because of its transparency and toughness. The optical bonding process is supposed to reduce the harshness of reflections and make sure that blacks are not washed out. At 3000 nits, the 703 Bolt is even brighter than the smallHD 703 UltraBright which is 2200 nits. The pixel density is a claimed 323 PPI with 1150:1 contrast ratio (slightly less than the smallHD 703 UltraBright’s 1200:1). The panel is listed as 10-bit by smallHD, but I asked Teradek directly and was told that it is only 8-bit. A lot of companies list their monitors as 10-bit even though they are really using a 10-bit (8+2 FRC) panel. FRC stands for Frame Rate Control Technology and an 8+2 FRC panel is basically a way of trying to approximate the colour reproduction of a true 10-bit panel. A true 10-bit monitor can display 1024 shades of colour, whereas a 10-bit (8+2 FRC) panel can only truly display 256 shades. So what a 10-bit (8+2 FRC) panel does is artificially create in-between shades of colour by quickly shifting the pixels to go between certain shades of colours. For example, you would show the main shade of one colour for 75% of the time and then another one for 25% of the time. This creates an illusion for the viewer that they are actually seeing more colours than what can actually be displayed. Not having a true 10-bit panel on the 703 Bolt is a bit of a disappointment considering how much it retails for. To be honest when I first turned the 703 Bolt on and inputted a picture I wasn’t sure if I liked it or not. The UltraBright display did seem to lack some contrast and if you are expecting the blacks to look like they do on an OLED panel then you will be disappointed. 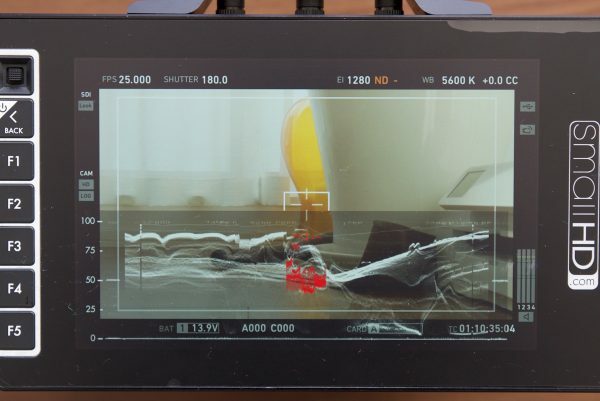 I have been using the Atomos Shogun Inferno as a monitor and it was interesting to compare the two. I found that the 703 Bolt was more on the green side, while the Atomos leaned more towards magenta. Both of these monitors can be calibrated through the use of X-Rite products, and the 703 Bolt has the added benefit of providing you with tools to adjust RGB values (although they recommend you don’t do this). Even after tinkering with the settings and using the 703 Bolt over a few weeks I still wasn’t blown away by the image when I was using it indoors. It’s not that it’s bad, far from it, but more the case that it just didn’t look that much better than some other field monitors that are considerably cheaper. Where it does have a big advantage over other options, is that it is incredibly bright and usable in even the brightest of conditions. Outdoors the 703 Bolt comes into its own. It’s the only monitor I have ever used outdoors that can be clearly seen no matter how bright the conditions are. That 3000 nit display is worth its weight in gold if you need a portable 7″ screen that can be used outdoors. With an optional anti-reflective screen protector on you don’t get any nasty reflections. 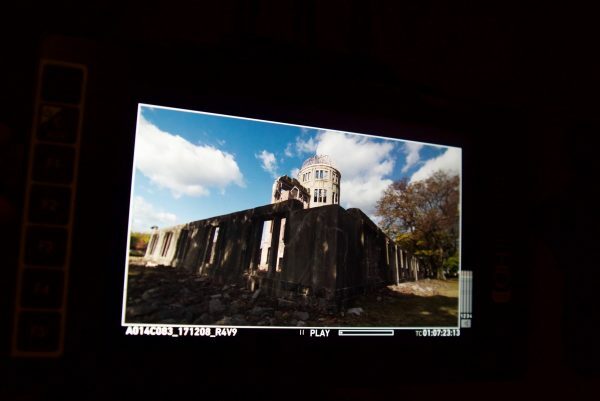 The only other monitor I have used with some success outdoors was the Atomos Shogun Inferno, but the screen is reflective, it’s pretty power hungry, and the fan noise is annoying. For me, the screen is a compromise. The high bright optically bonded anti-reflective screen is great for use outdoors regardless of conditions, but that brightness seems to come at the expense of low contrast and blacks, that don’t look quite as black when you are using it indoors. I found that by setting the contrast to 85 I achieved a more pleasing result. Again, I should reiterate, it’s not that it is a bad screen by any stretch of the imagination, it’s just that I expect more considering how much the 703 Bolt costs. 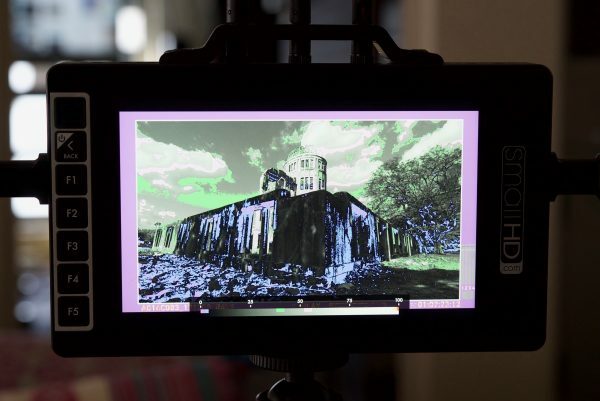 Like all smallHD monitors, the 703 Bolt uses the same PageBuilder OS graphical user interface (GUI). SmallHD built the PageBuilder OS to make menus less confusing. PageBuilder is a very customisable system as it allows you to selectively apply monitoring tools such as waveform, vectorscope, multiview, LUTs, and focusing aids on different “pages”. These pages can be easily flipped through using the joystick (it’s almost similar to how some Mac products work). The buttons on the front panel can also toggle monitoring tools on and off for each page. The buttons and controls are all in the right place as you can access them while holding onto the optional handles. If you haven’t used a smallHD monitor with PageBuilder before, it doesn’t take too long to get the hang of it. I quite like the way it works as it allows me to very quickly go between different scopes or focus peaking etc. just by using the joystick. I find this a quicker system to use than turning items on and off like you normally have to do on most monitor interfaces. 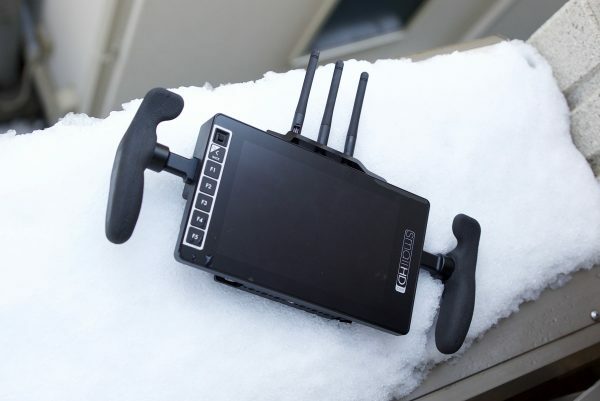 In November last year, smallHD updated the PageBuilder OS firmware to version 3. This added the following features, all of which come standard on the 703 Bolt. 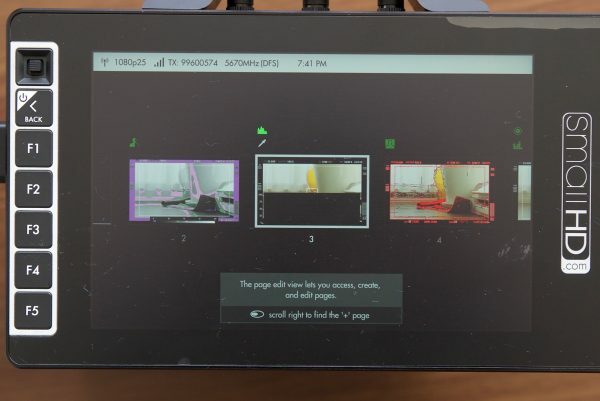 Using the official SmallHD color probe, auto-calibration can be initiated simply by attaching the probe to the monitor via USB and letting the monitor do its thing. Watch the Auto-Calibration How-To Video (this feature is not available for the 701 and 702 Lite monitors) above. Create up to 10 different IRE ranges, with custom color assignments, and start using False Color exactly how you want to. This is a nice feature as you can program in the IRE levels for your particular camera. If you happen to own or use an ARRI, there is already a preset for false colour scale in there. Support has been added for the following white points for the desired input space and monitor calibration: D65, DCI-P3, 3000K, 5000K, 5600K, 9300K. I like all of these features especially the Customisable False Color and the Spot Metering in LUMA Waveform. This built-in receiver has a claimed range of 300′ and is compatible with Bolt 500, 1000, and 3000 transmitters. If you don’t already own a Bolt transmitter and you are buying one especially for this unit, it’s important to be aware of the receivers 300′ range. There is no real point in buying anything more than the Bolt 500 transmitter unless you plan on buying an additional Bolt receiver. If you buy a Bolt 3000 transmitter for example, which has a range of 3000′, and try using it with the 703 Bolt, you will be limited to 300′. If you are going to build a wireless receiver into a monitor then it needs to be not only reliable but also trouble-free. 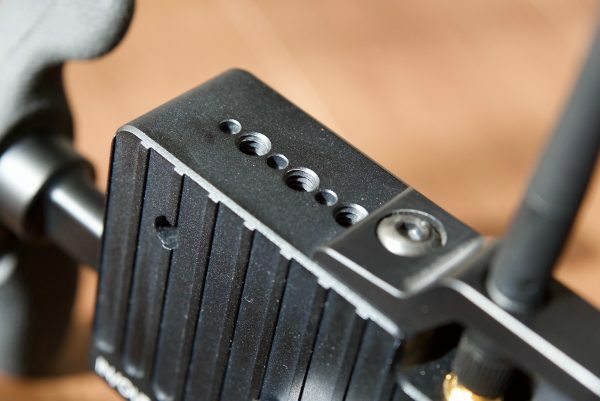 Pairing is required with the 703 Bolt, otherwise, anybody with one could show up on set and steal your footage. The pairing process encrypts the transmission, which keeps everything secure and available only to those people you want to see the footage. The nice thing about the built-in Sidekick II Bolt wireless receiver is that it is fairly easy to pair up with a Bolt transmitter. This can be done directly from the 703 Bolt by going to the wireless menu. There you can change the country region for operation of your wireless system as well as pair up a new transmitter. I like that once you have paired your transmitter once with the 703 Bolt, all you need to do is turn it on and it just automatically connects up instantly. 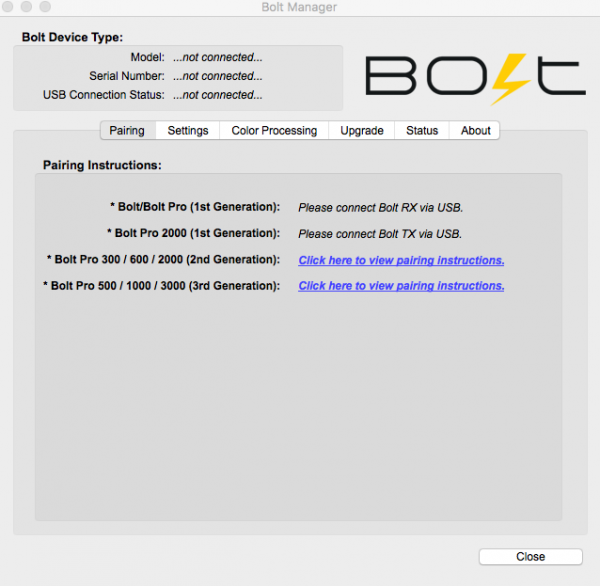 To pair the product, you could also use the Bolt Manager software which can be downloaded from the Teradek website here. This is always a hard one to review and test. 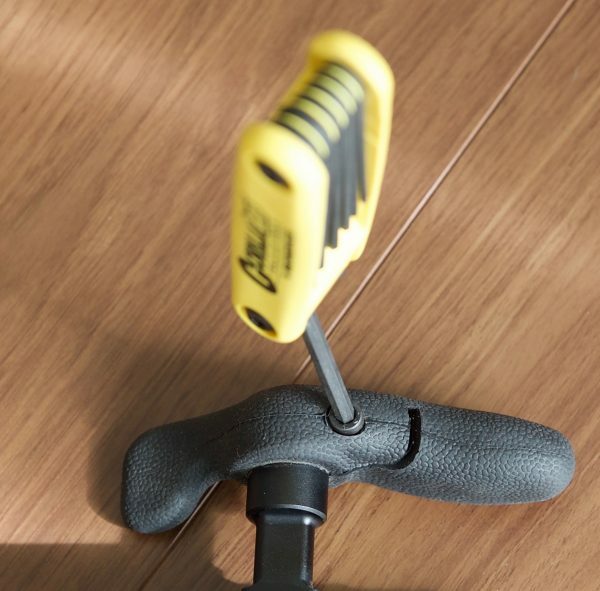 Wireless range and performance depend on where you are using it. In one location you may get 300′ of range or more, and in another, you may be lucky to get 50′. 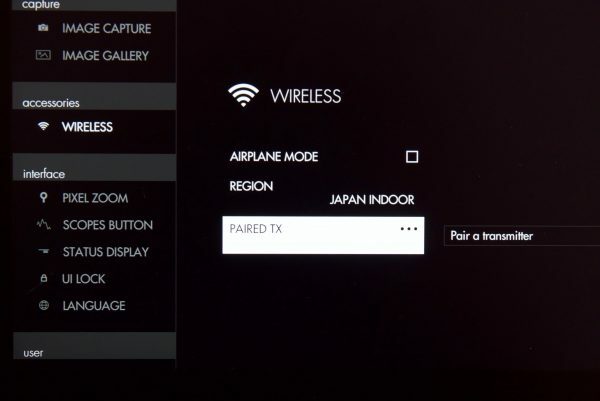 From my testing here in Japan, I found the wireless range to be pretty good. I managed to get a perfectly stable signal even when I left the transmitter in my apartment and then went down two flights of stairs, around a corner, down a corridor and then went outside the building. I was impressed as there was no direct line of sight and an awful lot of concrete and steel between the transmitter and receiver. 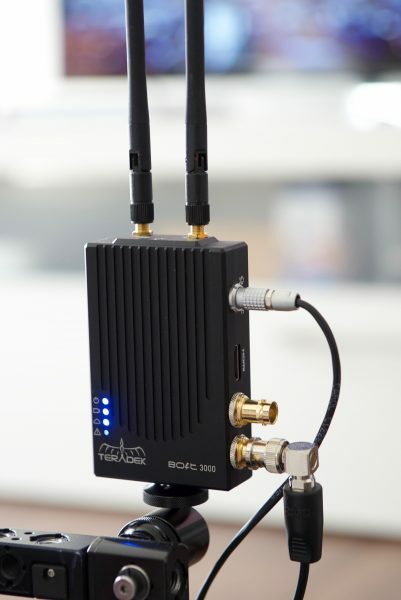 I was, however, using the Bolt 3000 which is Teradek’s most expensive transmitter at $5690 USD. Whether that performance would have been comparable with a Bolt 500 I’m not so sure. To further test the range I set up a test where I could measure the exact distance at which the 703 Bolt’s receiver range would work. Again this is going to depend on your location and wi-fi traffic in your area. 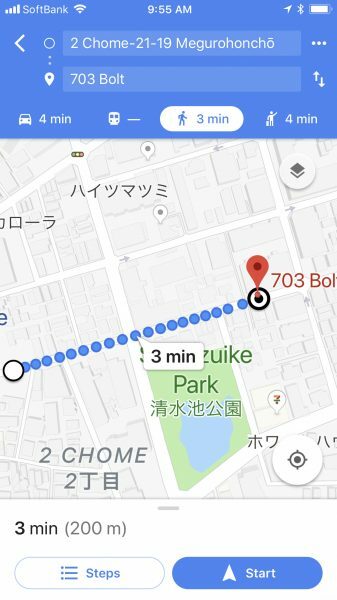 I’m in the middle of Tokyo, so it should be a good indicator of how well the system works given the amount of wi-fi traffic and interference in this city. I found that I still had a good clean, stable signal up until around 200m (656ft) from where the camera was as long as I maintained line of sight. This figure exceeded the 300ft range that Teradek claim is the effective range of the 703 Bolt. Whether I would have been able to achieve this with say the Bolt 500 transmitter instead of the Bolt 3000 I’m not sure. Once the Bolt 703 dropped the signal I found that I had to turn the unit off and power it back up and then walk back towards the camera. This process was a bit hit and miss. Once it regained the signal very quickly after turning the 703 Bolt off and then on again, and the second time I walked all the way back to the camera and I couldn’t get it to reconnect without restarting both the 703 Bolt and the transmitter. This is one of the frustrating things when using wireless, it’s never really bulletproof. One moment it is connected up fine, the next it doesn’t. With a 3000 nit daylight viewable screen and built-in wireless receiver, you would think the 703 Bolt would be a power hungry beast, but it isn’t. It only draws 16W of power, which is just 3W more than the smallHD 703 UltraBright, and as another comparison, the Atomos Shogun Inferno draws 10 – 33W depending on how you are using it. I found that I could run the system all day on an Anton Bauer CINE 150 V-lock battery. Is it a disadvantage having the wireless built in? This is a question a lot of people are bound to ask, so I’ll address it from my perspective. No, I don’t think it is a disadvantage having it built in, and here is why. 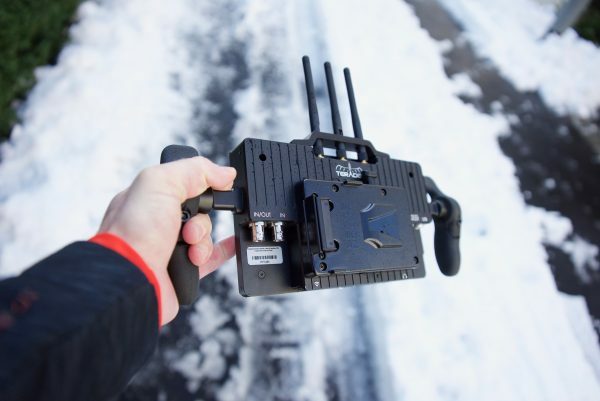 The Sidekick II Bolt wireless receiver doesn’t make the 703 Bolt much bigger than a smallHD 703 UltraBright and even if you don’t want to use a Teradek system it’s not going to get in the way. 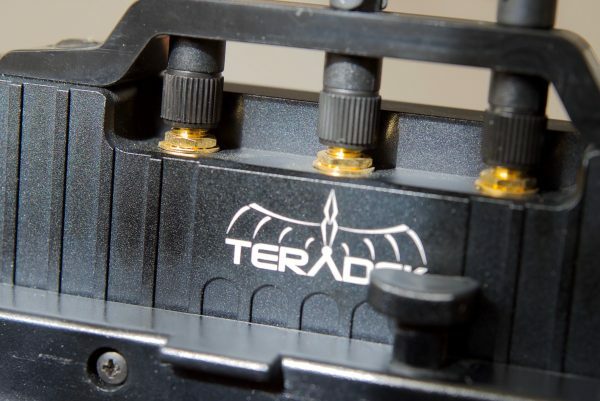 You could easily attach another wireless system from Teradek or any other brand to the 703 Bolt without any hassle. If you wanted to you could even use the 703 Bolt’s dual SDI ports and attach an additional wireless receiver so you could view two different cameras on the same device. Both smallHD and Teradek fall under the Vitec umbrella and it’s good to see technology from two different brands being integrated into a single product. From my understanding, one of the main reasons that Vitec was acquiring all of these different brands was so that they could share the technology and come up with better products. It certainly has taken some time for this to happen, but with last years unveiling of the Flowtech tripod that is sold by both Vinten and Sachtler, and now the release of the 703 Bolt, I think we will start seeing more integration in products coming from companies under the Vitec group. The 703 Bolt retails for $3999.00 USD. No matter what way you look at it, this is some serious coin for a 7″ monitor and a wireless receiver that has a 300′ range. It is however, a serious bit of kit that is being targeted at high-end professionals. Despite the high price, it is considerably cheaper than buying a smallHD 703 UltraBright and a Teradek Bolt Sidekick II 3G-SDI Video RX. The cost of buying both those items separately is $5189 USD. 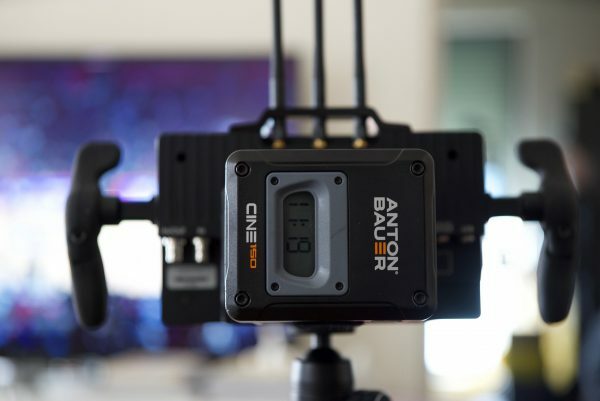 What you also need to take into account is that the 703 Bolt doesn’t come with a transmitter and even the cheapest compatible option; the Bolt 500 is $1390 USD. So realistically you’re looking at $4489 USD for the cheapest available 703 Bolt and transmitter solution (if you purchase before the 31st January). If you already own Bolt transmitters then you won’t need to spend that additional cash. The 703 Bolt is certainly a serious bit of kit and it delivers on its intended purpose. It’s functional and easy to use, and to me, that’s the mark of a good product. While I wasn’t blown away by the display indoors, it was refreshing to finally use a monitor outdoors the could be seen in just about any conditions. Whether the $3999.00 USD price tag is something you can justify will depend entirely on your needs and the type of productions you are working on.